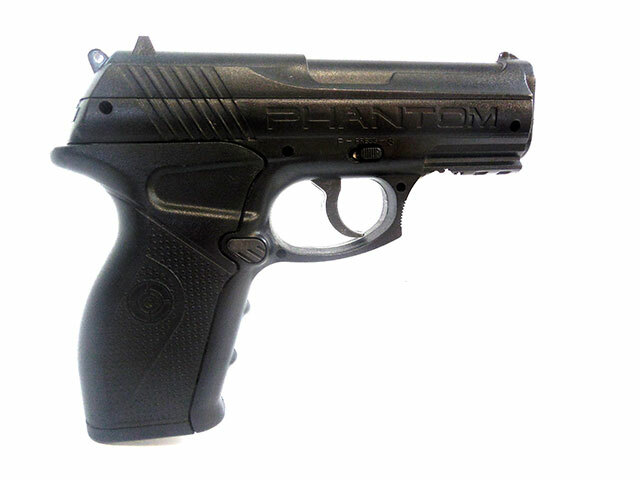 The Crosman Phantom is a compact sized CO2 powered BB repeater pistol, and this one is in excellent condition. It features a synthetic body, and grip. 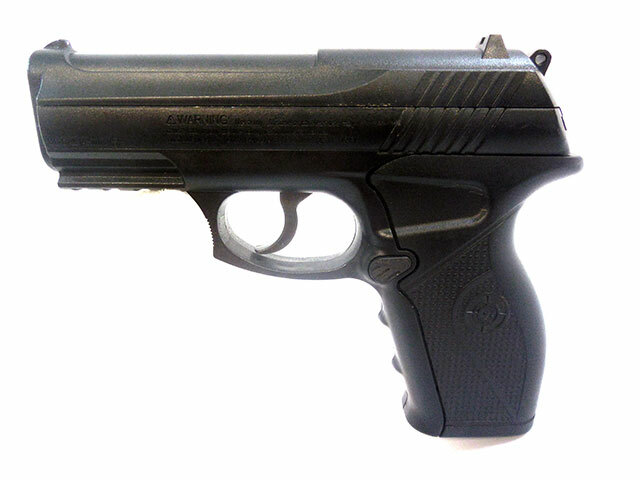 The grip is removable one one side for inserting CO2, and it has an 18 round clip that fits into the bottom of the grip. It also features and under barrel rail for mounting accessories such as the Center Point Universal Laser and Flashlight Kit. The velocity was tested in our shop using a new CO2 cartridge at around 307 fps. This is just a fun little BB gun for plinking.